Mods - please delete if this is inappropriate. Big Tim Connolly is getting the band back together over on Facebook with a Telemarktips group. It's really great to see familiar names and handles from all over the world. You have to request to join the group but Tim quickly responded to my request so you will be joining in the fun in no time. ......thereby destroying the already tattered remains of my productivity at work. Williamtele wrote: ......thereby destroying the already tattered remains of my productivity at work. I don't do facebook so I'm safe. I just hope it does not take from this site. We are not exactly bustling as it is. I had just been thinking about T'tips after the post (Montañas Blancas Occidentales '17-'18), which reminded me of Juan Valdez, I think was his user name. That guy was funny. On the edge of a new year, best to all. I luff you. Grant - thank you for that tip; just signed up. Lots of good memories. Biff - don't worry, my friend, it's not the sort of format to affect this site. Yeah, no worries. I doubt we'll bustle any the less for it. Which isn't much, but still. I'm not getting sucked back into that world either, especially not on facebook, but I do have fond memories of certain witty posters, like Tri-Ungulate, Danno, Cesare, and that handful of Dadaists from northern Michigan. What did they call themselves again? Dirk wrote: Yeah, no worries. I doubt we'll bustle any the less for it. Which isn't much, but still. You and Biff make it sound like a gateway drug. It's remarkable how many people have fully recovered after looking at a Facebook page. Did you even know that no one under 30 bothers with it anymore? And Trump does this thing called Tweeting....oh, never mind. No, a drug would "destroy the already tattered remains of my productivity at work." But wait... where have I heard that before? I believe they called themselves: "The Clinton River Yah Breathren"... or something very close to that. Those guys really knew how to have fun. Maximum macho-man points for anyone who read their entire thread. I miss the format of the TelemarkTalk forum and the great people on it. It is so much easier to go through past posts and search for items. Facebook has it's place, but it's not the same feel as the forum. I see someone is running TelemarkTalk but it does not appear to be the same members as from TelemarkTips when Mitch and Big Tim ran the side. I met some great people through that site and I am glad many eastern BC skiers transitioned over to TelemarkEast.com. My actual skiing has been limited due to the age of my kids and their involvment in club sports which have taken up most weekends. I look forward to being more involved in the future years once my daughters are both in college. That's only 3 years away so I am trying not to rush it and just enjoy where I am in life right now. 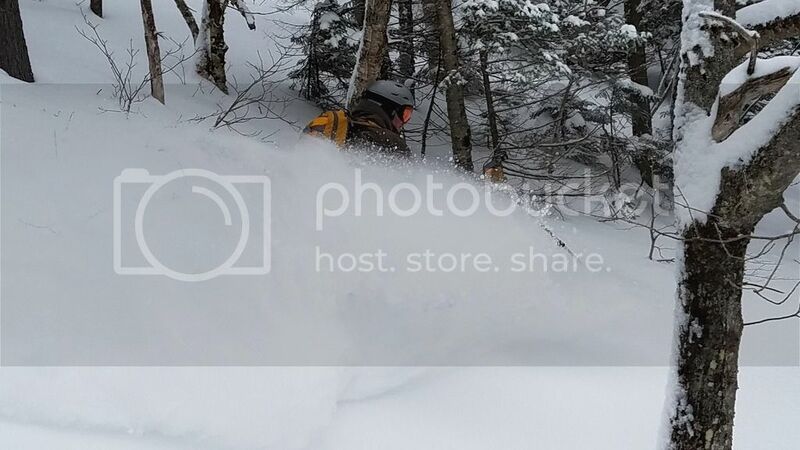 nebcskier wrote: I see someone is running TelemarkTalk but it does not appear to be the same members as from TelemarkTips when Mitch and Big Tim ran the side. TelemarkTalk is allegedly Ron Cole's site now. He lives out West and is chummy with the Kingdom teleskiers, many of whom visited him about 8, 9 or 10 years back. Nope - a Quebecois guy owns it and Ron does not post there, he was banned a few years back. Ron has his own site, which I won't mention here out of respect. I'm sure if you wanted to find it, you could. Ttalk is mainly focused on XCD and such, but you can talk about any Tele skiing there. Personally, I think Telemark is far too small a niche to have so many forums, or even a forum to its dedication. Maybe in its heyday this wasn't the case, but these days no one seems to care that much about forums, for the obvious reasons. That and the sport has become stagnant. And skiing, in general, is in decline. Ah, Ron. Those were the days. Before they weren't.